The regulations of the Austrian Bicycle Association (ÖVR) apply to the Salzkammergut Trophy. During the race any technical support and catering is prohibited, except the assistance by other participating bikers. At the service and refreshment stops assistance is only permitted if done by official assistants. At the Assistance Points (AP), shown on the course map, the participants may accept food/beverages, spare parts, clothing and tools as well as technical assistance from their team’s crew. Any crew member on the course with a motorized vehicle will cause his rider to be disqualified and be reported to the authorities! Bikers who quit the race must sign out with one of the marshals and must not, under any circumstances, bike through the finishing line! We recommend taking your mobile phone along; however please switch to a silent mode respectively vibrating alert! Especially the two long distances of the Salzkammergut Trophy are an extreme challenge for man and material. Therefore it is essential to have your bike checked in a special bike shop and also to renew the brake pads before arriving in Bad Goisern. Along the courses there are four service stations where skilled mechanics from Mavic support you efficiently in case of “small” problems like adjusting the brakes or gearshift – and "Dr. Wack F100 Kettenöl lubrication guarantees that everything will run smoothly! All other repairs can be only done upon availability; spare parts have to be paid by the participant immediately. Participants of course A have to take their bike to a bike check-up before collecting their race number. Checked are only safety-related parts like brakes, bottom brackets, handlebars, headset, and condition of the wheels, frame, chain and fork. If you pass the check you receive a test report which needs to be handed in at the race number distribution. Attention! Bikes are not going to be repaired during the check-up! In course of the check up we would like to collect a few statistic data. What percentage is the 29er? How many percent trust in Shimano, how many in the components of SRAM? What are the most popular bike brands and are the Fully bikers already the majority? The starting position in the blocks results from the biker's self-assessment. 74,0 km Course C - Start in Obertraun! 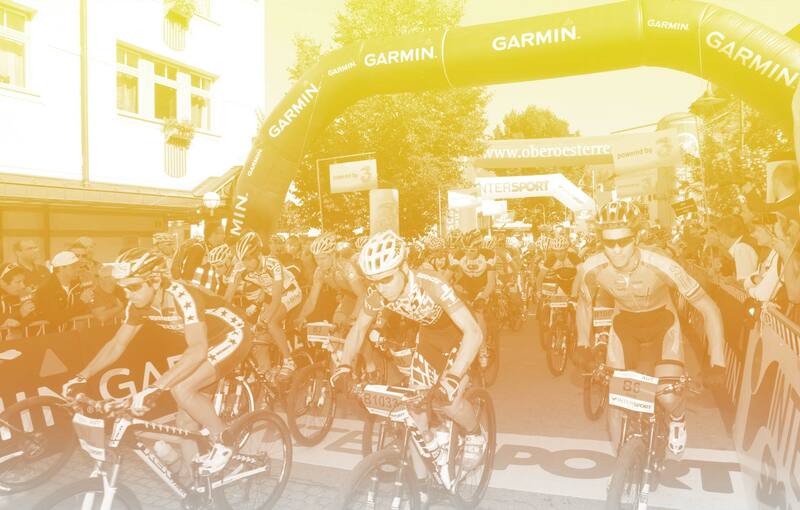 55,0 km Course D - Start in Bad Ischl! Watch out for Bike Thieves! Unlike many other mega bike events, there were hardly any bikes stolen during the Salzkammergut-Trophy! This is mainly due to intensive monitoring and awareness training by the police as well as the alertness of our participants. Please make sure that you note the brand, model and the frame number of your bike respectively issue a bike pass at the Federal Criminal Police Office before arriving in Bad Goisern! On site, the bike may be deposited at the ABUS Park Fermé. The depot is open on Friday from 02.00pm until 09.00pm and on Saturday from 01.00 pm until 10.30pm. Check out ABUS at the expo they will be happy to give more information on protecting your bike. For further advice on protecting yourself against bike thieves, please see this information!